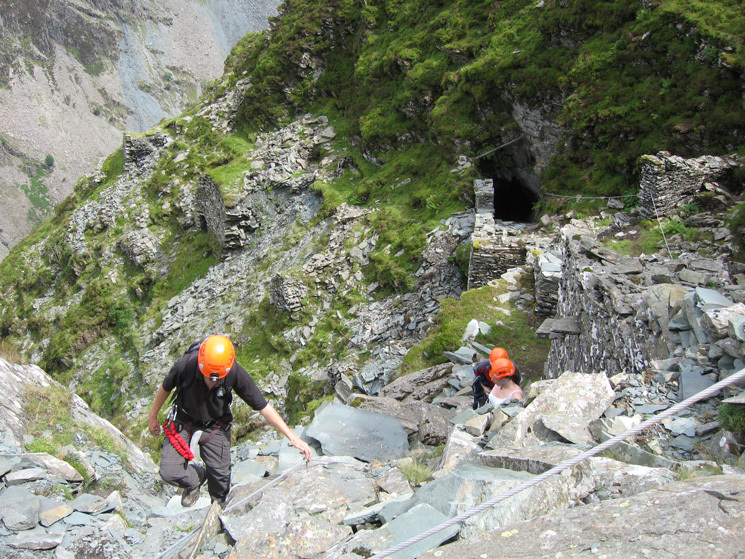 You can now climb the vertiginous route to the top of Honister Slate Mine, along the only via ferrata ("iron road") in the UK. This is an Italian-inspired (think of the Dolomites) cable system to which you are firmly attached by a harness. 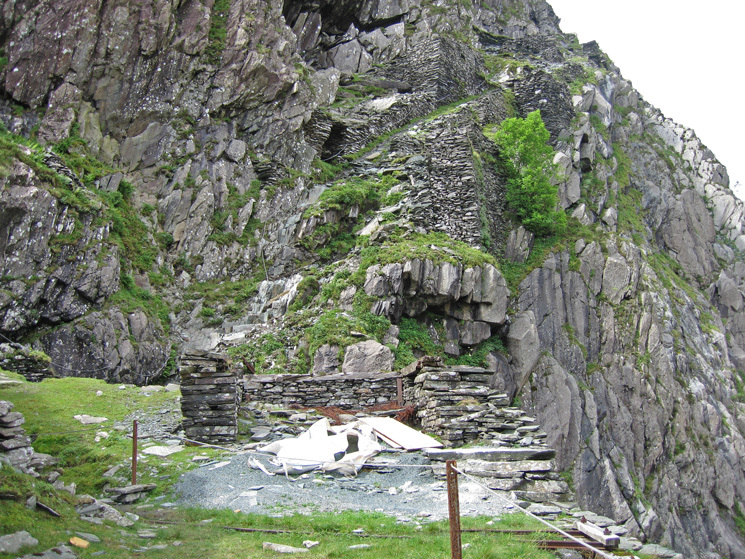 You climb along ladders, cross a somewhat narrow iron bridge, bend low through old mineshaft tunnels and gaze at the soaring Lake District views as you ascend 650 metres of exciting old mine workings to the top of Fleetwith Pike. 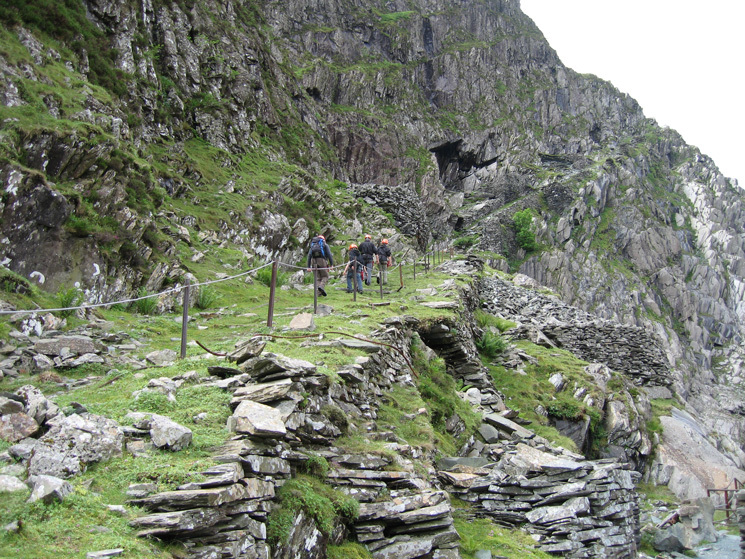 Opened in 2007, the via ferrata has been an instant success with adventure seeking visitors and the more adventurous tourist. All trips from Honister are safely guided, and you have to wear a miner's helmet with head torch. Mark Weir, the owner, descended from a line of Honister workers, says: "I wanted to get the man on the street out of his comfort zone and into something a bit different. It's an adrenaline-fuelled activity with added natural beauty.....popular with walkers and young families who want to create lifelong memories." And they can certainly do that, with the kind of view you'd normally get from an aeroplane! The climb moves slowly, and each group of 12 has a different pace, but the thrills come pretty often - there are sheer drops and stunning views, rare flowers, and a sense of amazement at the engineering feats the old mine workers managed to construct and operate. The Titanic is a section of the via ferrata where you can go along the cliff face and hang over the edge. All you do is clip off the main cable and clip onto one that stretches to the very edge. And if that's not enough, there's a narrow bridge, which drops a mere 300 metres to the ground. 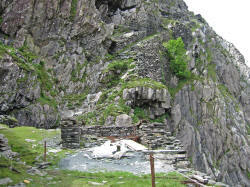 Honister Slate Mine is surrounded by the tarns and streams of the Lake District, only nine miles from Keswick. 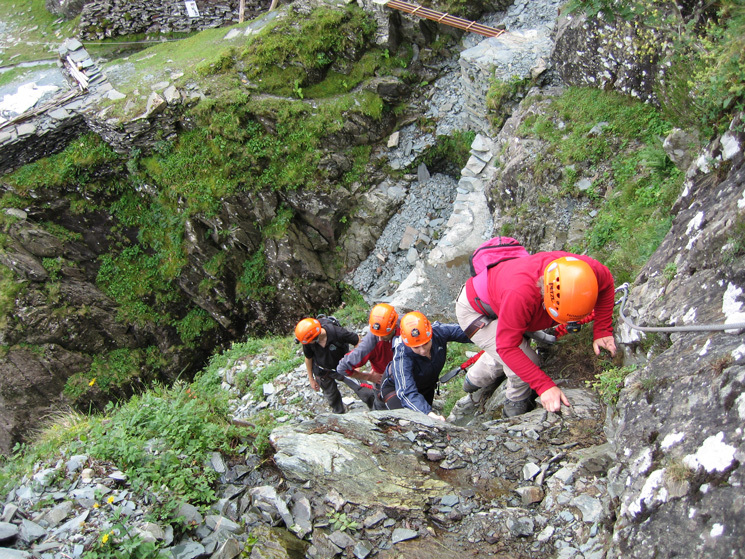 It is an area of extreme natural beauty, and there's no better way to see it than the via ferrata. As for safety, well, children from 10 years and over 4ft 7in tall can do it, as can adults with a reasonable degree of physical fitness. Unlike many Italian via ferratas, this one costs £20 to join a group ascent. But this isn't for the hardened rock climber who might object to paying £20. Those who moan about the price miss the point! You'll need good walking shoes, waterproof kit without any loose clothes, and be prepared for some chilly breezes on the way up. 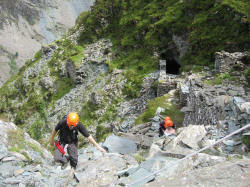 You can also explore the old slate mines: there are three tours on offer: Kimberly, the Edge, and the Cathedral. Kimberly is an easy stroll into the mountain for a flat and easy tour. The Edge is for the more adventurous explorer, traversing the inside of the mountain and passing out onto Fleetwith Pike. And the Cathedral tour is guided through the working mine by its owner, Mark Weir. The men at Honister have lots of local knowledge about the mining industry and are passionate about the subject. Photos from Andrew Leaney's website - click to expand.